Release price guide: Twist And Shout on label Capitol with catalogue numnber T-6054, Canada. Vintage Record Value Release price guide: Twist And Shout on label Capitol with catalogue numnber T-6054, Canada. 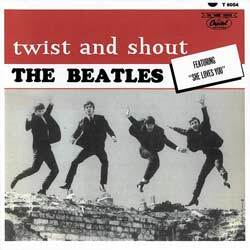 Twist And Shout is the collectable edition of title Twist And Shout recorded by Beatles. The record was published with catalogue number Capitol T-6054. This pressing was released in Canada. This record was release on 1964-02-03. It was released as a LP (12") and appeared on the Capitol record label. The sleeve cover was designed by an unknown artist. Our auction results for T-6054 were last updated on 2017-08-27. Out of 257 auctions 75 items were sold. The best auction result was $200.00 On average $37.73 was the price paid for this record. Some copies still include a promotional photograph, very rare material!